McMillen Jacobs Associates has an integrated transportation group to serve the needs of rail mass transit, highway, and railroad clients. We have experts in tunnel design and station design, with disciplines to support transportation projects such as structural engineering, geotechnical engineering and architecture, to provide responsive and comprehensive solutions to clients’ needs. McMillen Jacobs Associates is experienced in all areas of tunneling required for highway projects, particularly large span tunnels and caverns through various ground conditions. Our extensive highway work includes design/bid/build and design/build (i.e., design+construct) projects. We provide expertise not only in design, but in construction methods and costs, as well as program management and construction management. We have in-depth experience working on integrated engineering teams with owners and contractors, and understand the integration of space-proofing, roadway design, mechanical/electrical design, and ventilation/fire-life safety. Our highway tunnel experience spans the globe, with projects in the U.S., Australia, and New Zealand. McMillen Jacobs Associates has been providing engineering and construction services to the U.S. freight rail market for over 25 years. Our projects range in size and complexity from small-rock fall mitigation projects to double-track expansion and clearance improvement programs. Through the years, we’ve developed industry-recognized expertise in tunnel clearance, rock and soil embankment stability, drainage, deep foundation systems, stormwater control and retention, and retained cuts and fills. 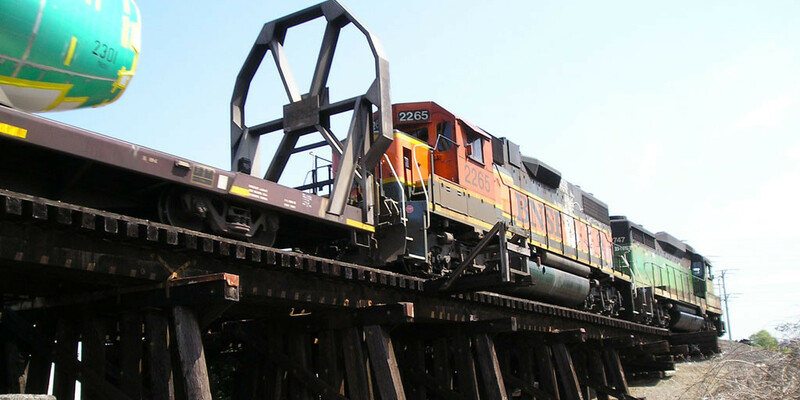 We have helped railroad clients efficiently move their projects from feasibility, design, environmental approval, permitting, and construction in all areas of the country. We have provided permitting and planning, engineering, and construction services to Class I and II railroads, state departments of transportation, local municipalities, and regional short-line carriers. McMillen Jacobs Associates has a long history of successfully designing and managing complex rail mass transit projects in major urban centers, dating back to the planning, design and construction of the BART and WMATA systems from the 1960s to 1980s. Our capabilities cover all aspects of a project, from project planning and feasibility studies to final design, scheduling, cost estimating, and program/construction management. Our design services include conceptual, preliminary, and final design; station structural design and architectural management; tunnel and shaft design; settlement analysis and building protection; tunnel boring specification; station excavation support design; waterproofing and dewatering. We’re experts at delivering efficient and cost-effective solutions. Signature projects include Sound Transit’s University Link and Northgate Link extensions, where we designed tunnels and stations through diverse Seattle neighborhoods.